Mahinda Rajapaksa says that the Prime Minister is appointed by the President and not the Speaker and accused Speaker Karu Jayasuriya of misusing his powers and acting in a baised manner. He also said that he does not care about the premiership and that he accepted the position to save the country from the brink of disaster. 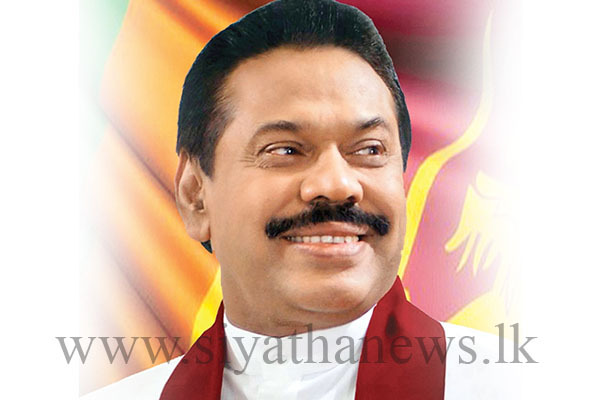 “Prime Minister or not, I am still Mahinda Rajapaksa. I don’t care about the Prime Ministership,” he responded to accusations from opposition MPs, saying he was no longer PM, as he commenced his speech in Parliament this morning (15). “It may be big for him. But not for me. I didn’t come here for the premiership. I have been prime minister before and I have been president,” he said. “Don’t think I am here talking for the premiership,” he asserted. Rajapaksa said that he had never seen a “darker day” like yesterday in Parliament of the country, referring to the no-confidence vote. He said that when the President invited him to take over the position of Prime Minister he could have said no and to let the UNP continue for another year. But we have a duty to save the country from the brink of disaster, he said.